The Pennsylvania Department of Labor & Industry recently released its employment data for November 2015, in which Lancaster County’s unemployment rate dropped to 3.8 percent–the County’s lowest rate in 7 1/2 years. 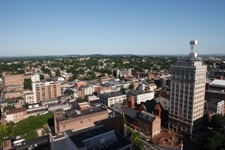 Lancaster reported the third lowest unemployment rate in the Commonwealth compared to the other 18 metropolitan areas in Pennsylvania. According to the U.S. Bureau of Labor Statistics, Lancaster was one of 294 metropolitan areas in the nation to experience job growth. Eighty-two metropolitan areas lost jobs and eleven experienced no employment change. Although job growth continues nationally, the average annual growth rate of all metros has slowed to 1.1 percent–the lowest average since December 2011. 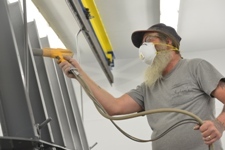 Lancaster experienced a 1.9 percent growth rate, slightly higher than the national average. Lancaster County experienced job growth in Retail Trade (2,400 new jobs), Leisure & Hospitality (1,700 new jobs), Healthcare & Social Assistance (700 new jobs), and Other Services (400 new jobs). You can read more from LancasterOnline’s article and the Syneva Economics report.